Lightwright has supported more than 90% of all Broadway shows for over 20 years. 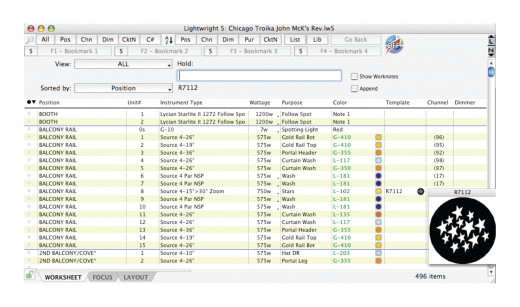 This unique database and spreadsheet functionality tool was created by professional designer John McKernon, and it helps users better manage their professional lighting design documents. So if you’re looking to reconcile sets of paperwork, synchronize show files, share files and work notes, and reduce paper reports, then Lightwright is the tool for you.